Proprietary Name: Puri-san Plus Instant Hand Sanitizer What is the Proprietary Name? Puri-san Plus Instant Hand Sanitizer with NDC 43097-457 is a a human over the counter drug product labeled by People's Janitorial Supply. 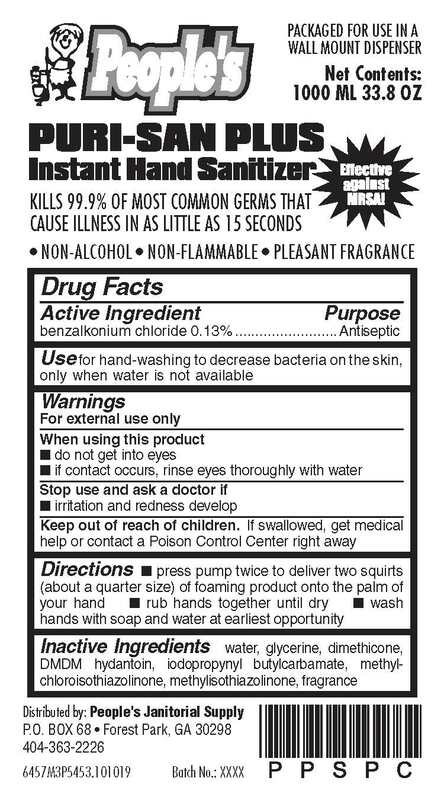 The generic name of Puri-san Plus Instant Hand Sanitizer is benzealkonium chloride. The product's dosage form is liquid and is administered via topical form.